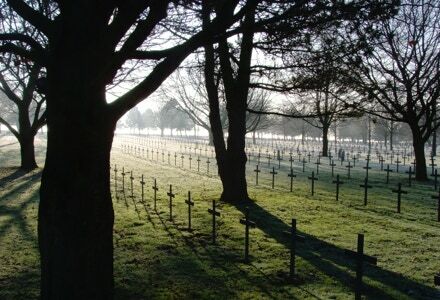 Two-thirds of British and Empire casualties on the Western Front were incurred around Ypres or the Somme. 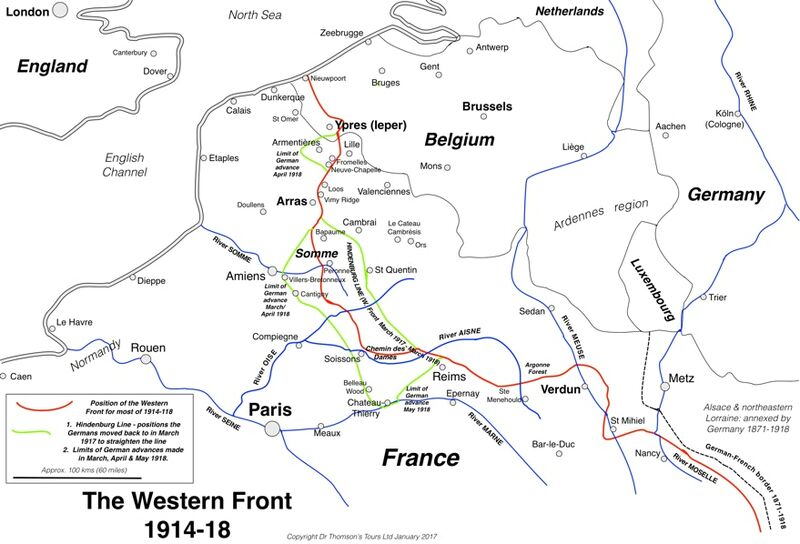 At the north and south respectively of the British section of the Front, these infamous sites form the core of this classic World War I tour. 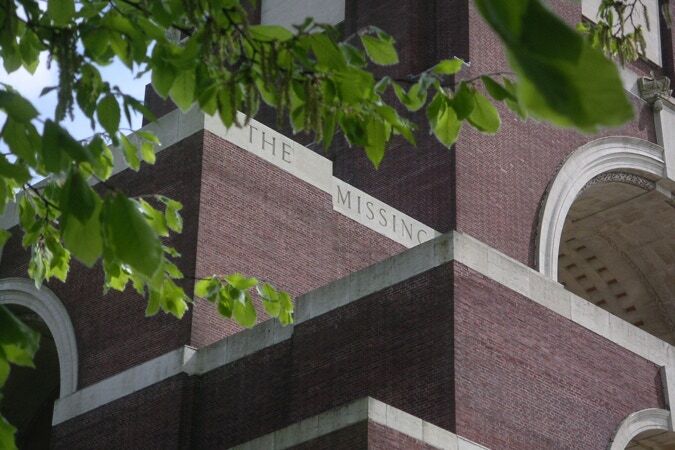 We take in the memorials to the missing at the Menin Gate in Ypres, and at Thiepval on the Somme (left). A night in Arras in between allows us to see Vimy Ridge (with Canada’s World War I National Memorial, the boldest 1914-18 memorial of all) and the nearby Ring of Memory. 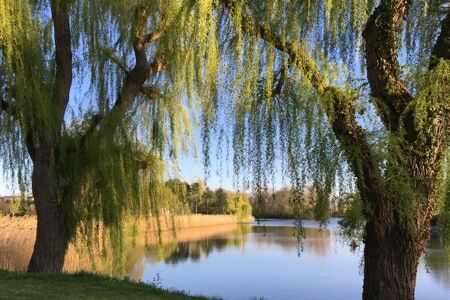 Meet at a Lille hotel or at the station: 1 hr 25 from London St Pancras; 1 hour from Paris by train. 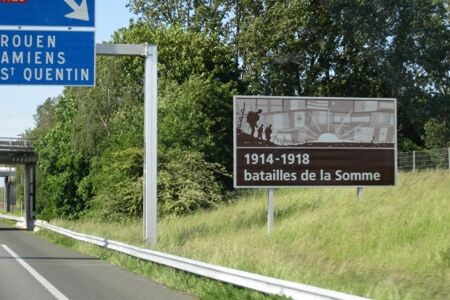 45 minute drive to the Somme - tour taking in the Thiepval Memorial to the Missing, preserved trenches at Beaumont Hamel, ‘Pal’s battalions’ memorials at Serre (walk in ‘The Copses’), the German cemetery at Fricourt, and Lochnagar Crater (the largest on the Western Front). Drive 25 minutes north to Arras for the night. 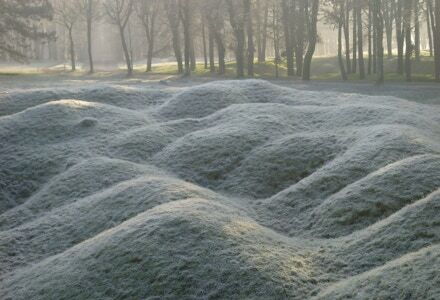 Drive 20 minutes out of Arras to visit the Canadian National World War I Memorial at Vimy Ridge: walk across the preserved cratered landscape. To the nearby Ring of Memory on the hilltop of Notre Dame de Lorette - an enclosed ring where one walks alongside panels listing all the names, of all nationalities, of those who lost their lives during World War I in the Nord / Pas-de-Calais region. 580,000 names in alphabetical order, with no segregation by nation - an amazing and original memorial, opened in 2014 for the World War I Centenary. On 30 minutes north to the Australian memorial at Fromelles, their first engagement on the Western Front (July 1916), together with a Commonwealth Cemetery created in 2010 when around 250 predominantly Australian dead were discovered in a mass grave here. 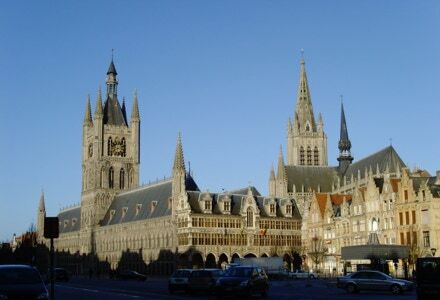 45 minutes north to Ypres for the night - chance to attend the 8 p.m. Last Post ceremony at the Menin Gate memorial to the missing. Tour tracing where ‘No Man’s Land’ ran through looking at today’s landscape and trench maps, then visits to the Canadian ‘Brooding Soldier’ memorial (site of the Germans’ first use of gas, April 1915), huge mine craters at the Caterpillar/Hill 60, and Tyne Cot cemetery on the slopes of Passchendaele village. 45 minutes back to Lille for the end of the tour.